Showing off the best content of your website or blog in a nice intuitive way will surely catch more eyeballs. 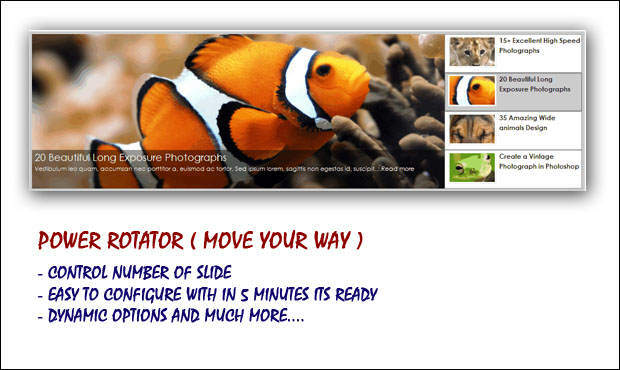 Using an auto-playing content slider is the one of techniques to show your featured content. It saves you space and makes for a better user experience, and if you add a pinch of eye candy to it, then there’s no looking back. 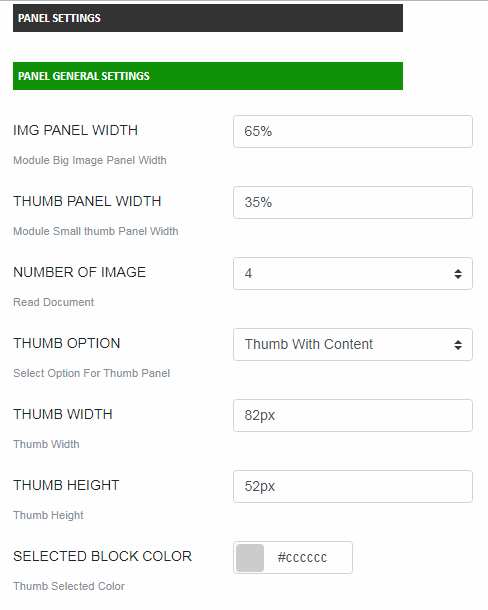 Dynamically Control Width and Height Peramters for Left And Thumb panel. 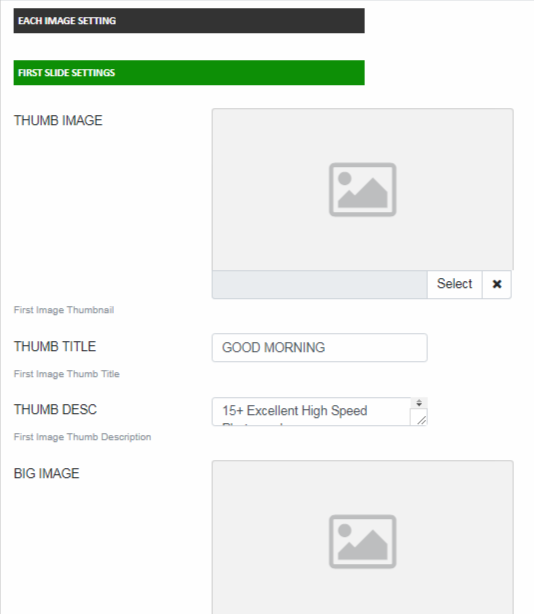 Scroll your Favorite Thumb and Images here and Link to your detail page or External pages. Number of Slide control from admin dynamically. Set Image / Thumb / Title / Description and Read more link. 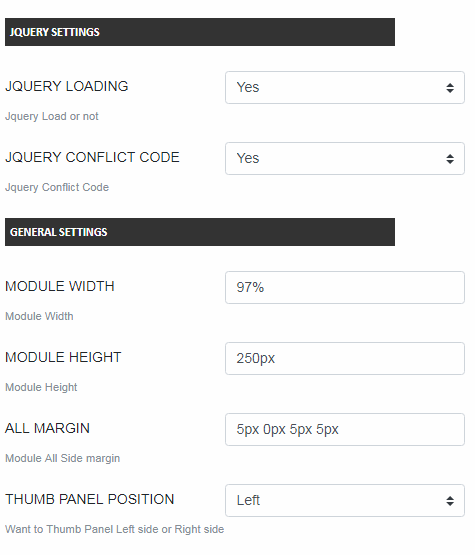 Module Configuration ready with in 10 minutes. 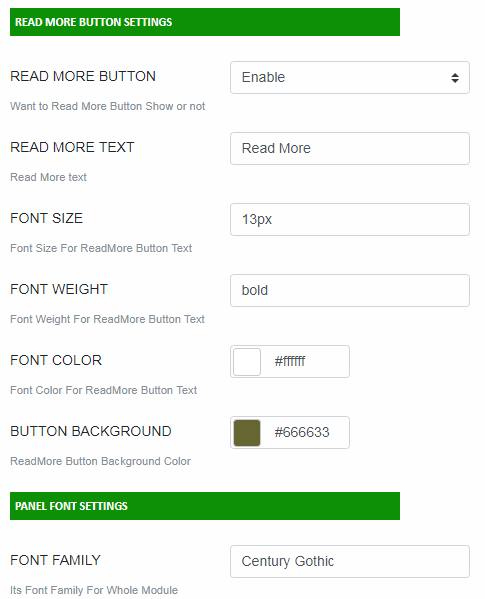 Able to Increase-Decrease Slide and Control thumb section Color Control. Dynamic options and much more Enjoy with it.